Work with a team that has enthusiasm, experience and creativity. Our seasoned team is confident shooting on location or in studio. 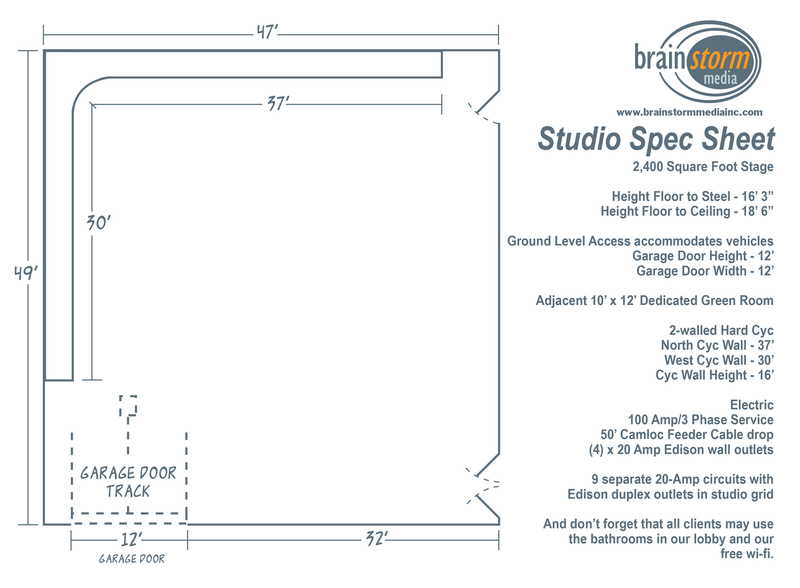 Brainstorm Media is home to one of the largest double cyc wall studios in Columbus and we are happy to shoot in any format.